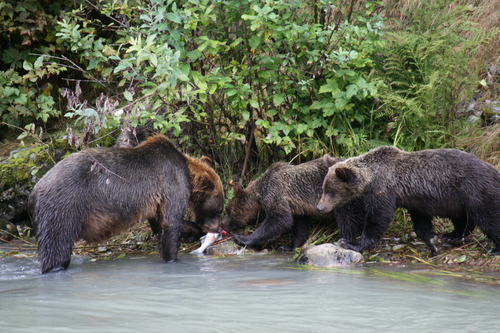 Homalco Wildlife Tours has been providing Grizzly Bear viewing and Homalco First Nation cultural tours for over 15 years on their traditional territory in Bute Inlet. Tour season starts with the salmon spawn in mid-August and runs until mid-October. 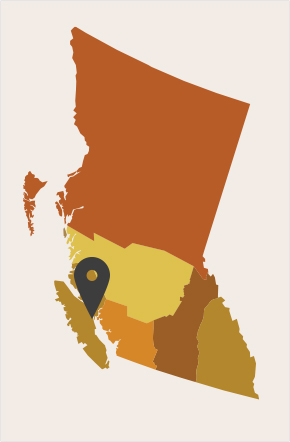 Guests arrive by boat from Campbell River through a tour operator partner like Sonora Lodge, Campbell River Whale Watching, Discovery Marine Safaris, Adventure Quest, Eagle Eye Adventures, Big Animal Encounters. 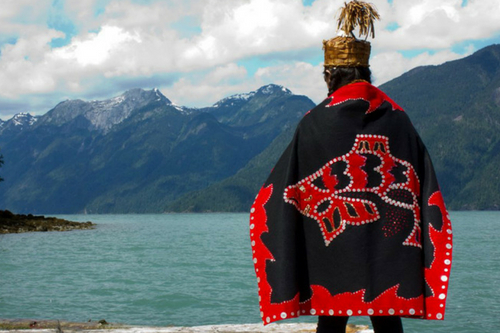 Upon arrival at Orford Bay guests are warmly greeted by First Nation guides and receive a bear safety briefing before being transported by bus to viewing platforms located at strategic feeding locations along the Orford River and Algard Creek. 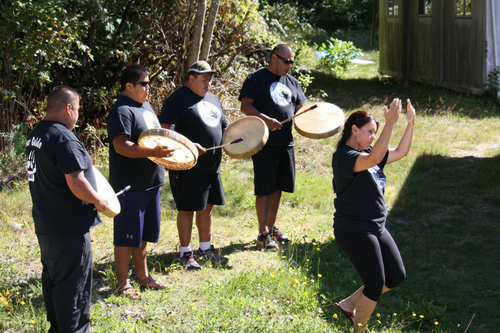 Throughout the 3 hour immersion guides share their extensive knowledge on Grizzly Bears and Homalco First Nation culture while ensuring a safe, rewarding experience. The big bears of Bute live among the tall Douglas-Firs and the Western Red Cedar where they thrive along the banks of glacial fed rivers and streams teeming with wild Salmon. 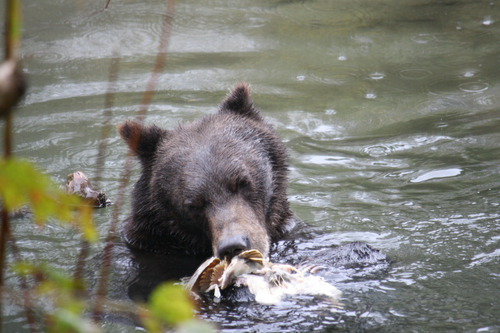 This prime Grizzly habitat, culminating at Orford River systems, is also the traditional land and home of the Homalco First Nations people. 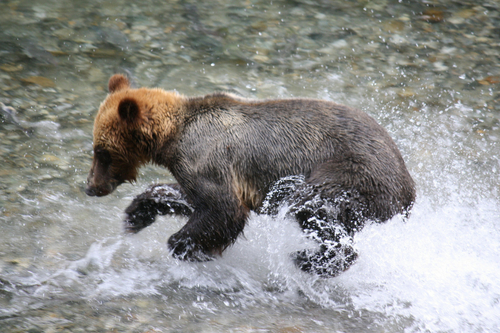 Every year in the summer and the early fall, the Bears of Bute gather on the banks of the Orford River systems to participate in one of nature’s most incredible displays – the return of the Salmon! The Chum and Coho salmon return from the ocean to the fresh water streams and rivers where they spawn and finally die. 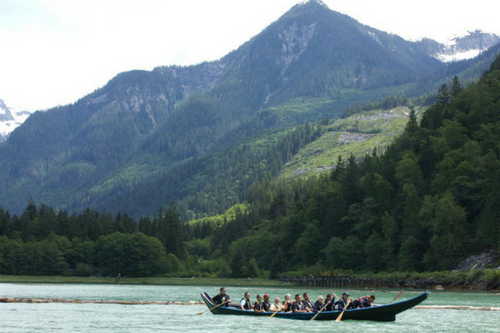 The tour will include the opportunity to paddle a traditional Salish design canoe, witness a demonstration of cedar weaving, and learn how to weave a simple piece, learn Homalco history, visit with a Homalco artist, peek in at a hatchery and visit the Grizzly Bear platforms. If local wildlife make an appearance that will be a spectacular bonus. End your day with a delicious traditional seafood feast.